The Rebel Sweetheart. : Spotlight | Laneige Multiberry Yogurt Pack. When I entered my 30's, I started to pay more attention to my skin and my skin care needs. I've become fussier actually, and follow a 10-step regimen consisting mostly of Korean skin care brands. 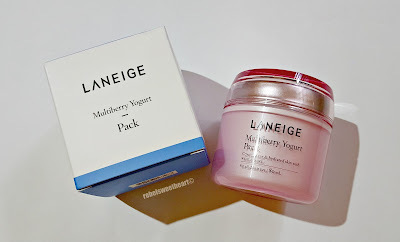 Just recently, I've incorporated the Laneige Multiberry Yogurt Pack into my 'seemingly endless' (as my husband jokingly puts it) skin care routine. I bought this on a whim the last time I was in Seoul; I was somehow sweet-talked by one of the staff at the Laneige store in Myeongdong, claiming that this product is (in verbatim) "very good, your skin will look more healthy". She let me take a sniff of the pack, and I was sold! I dished out 22000 Korean won for this product, around Php 950 or $19. 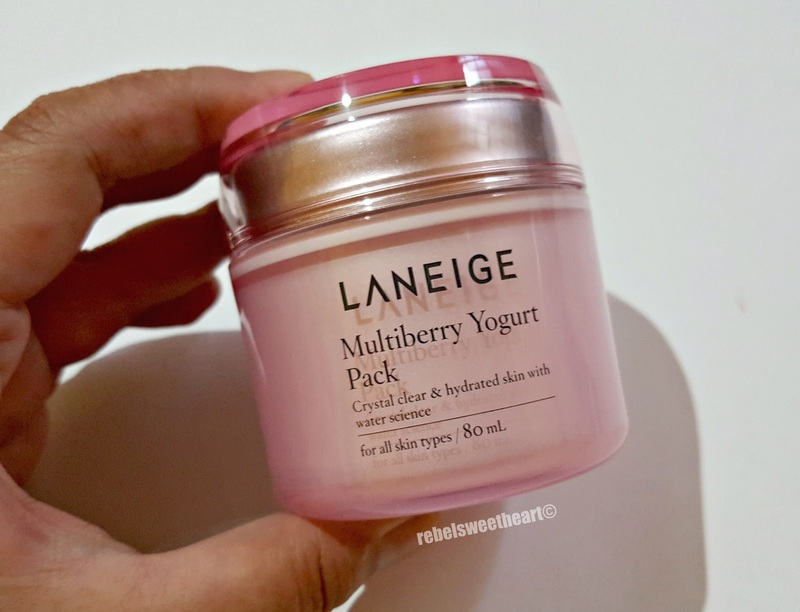 I'm a sucker for strawberry-scented products, and this pack smells a lot like my favorite Binggrae Strawberry Milk. Not surprising since this product contains a complex of berry extracts which includes strawberry, raspberry, cranberry, and blueberry. 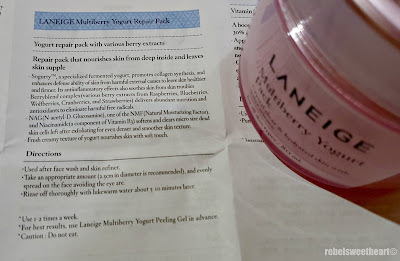 These berries are known for their antioxidant properties that nourish and repair the skin. Here's how the jar looks like. 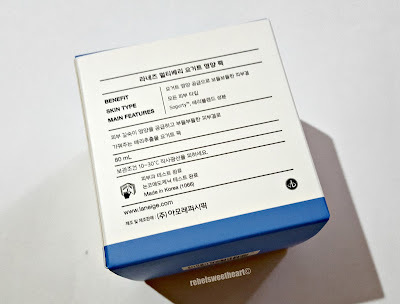 This pack also contains a specialized fermented yogurt called Sogurty™, which promotes collagen synthesis and reinforces the skin's barrier against the elements so that the skin stays healthy and supple. 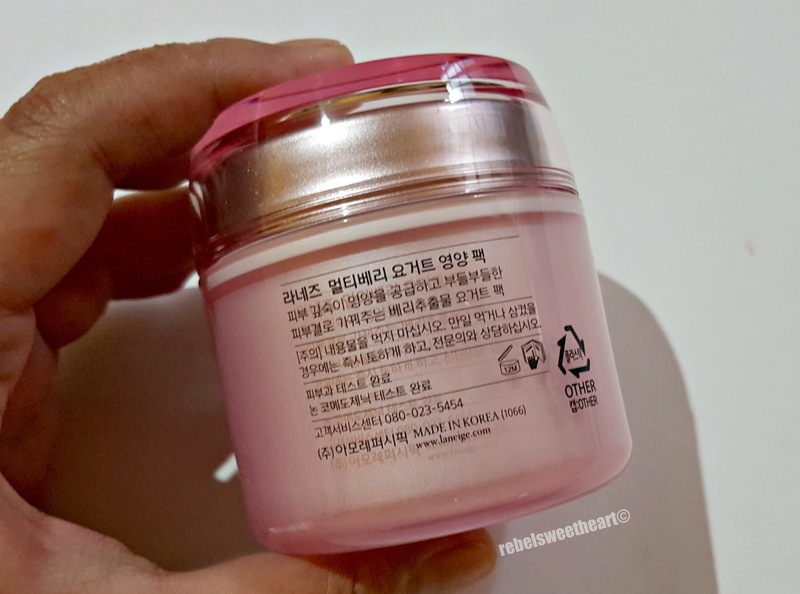 Hangul text at the back of the jar. In addition, this product contains shea and cocoa butter - both moisturizing emollients, and glycerin and squalene - both skin-repairing ingredients. Comes with a spatula and an instructional pamphlet. 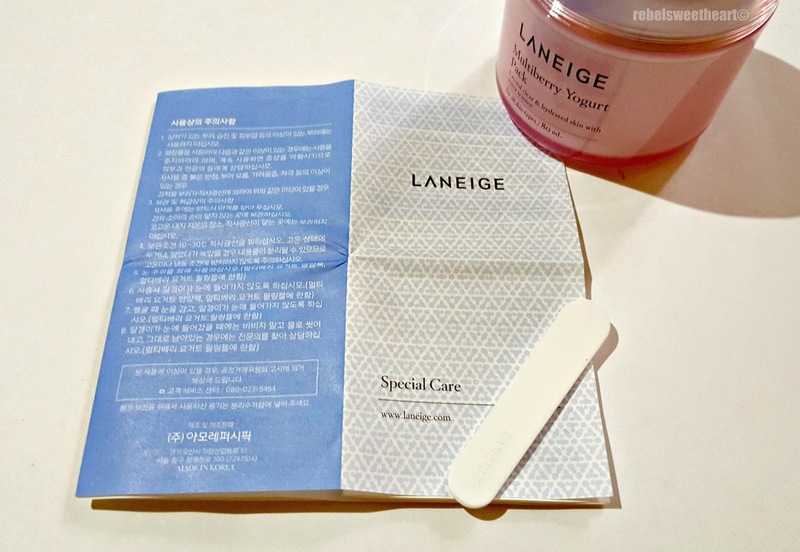 The product is housed in a pink tub, and comes with a spatula and an instructional pamphlet written in different languages. Product details and usage instructions in English. To use, 1) you need to wash your face first with your usual cleanser then prep the skin with your usual toner. 2) Take an ample amount of the product and spread it on the face while avoiding the eye area. 3) Leave it on for at least 5-10 minutes (I usually let it sit on my face for 15 minutes or so), and then 4) rinse it off with lukewarm water afterwards. The pack has a creamy, yogurt-like consistency. It has a somewhat fluffy texture, making it easy to spread on the skin. It feels a bit sticky when applied, but that's okay since you're going to wash it off anyway. The first time I tried this pack, I had about five or six tiny bumps running along my jawline. They weren't zits or acneic bumps, and they weren't red or itchy or swollen or anything, but they bothered me nonetheless. 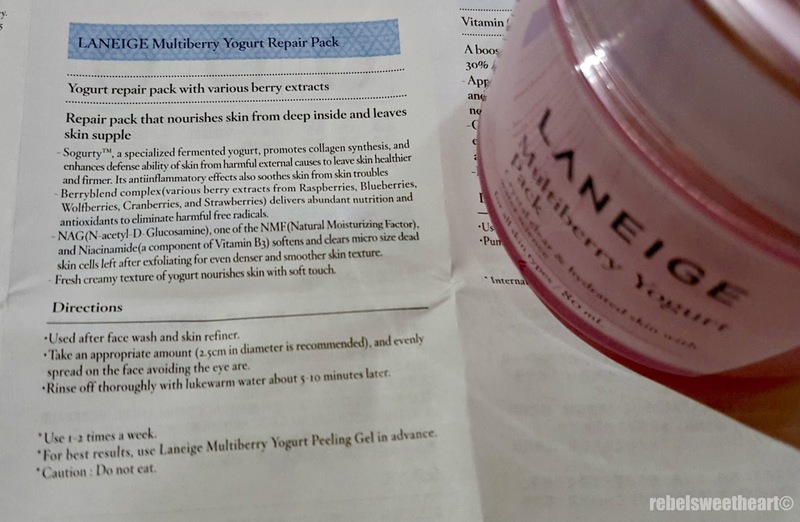 I figured my skin needed not just an extra boost of hydration but also deep nourishment, so I turned to this 'repairing' pack for rescue. This product did exactly that - my skin felt softer and looked healthier, and the bumps were not as prominent as they were before. After two uses, those annoying bumps were gone, like they never existed. I have never been so glad to have bought a skin care product on impulse, haha! 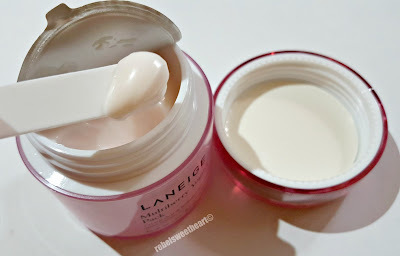 Laneige recommends using this once or twice a week together with the Multiberry Yogurt Peeling Gel for best results. I, however, prefer using this alternately with my all-time favorite Water Sleeping Mask. Both jars now have a special spot inside my fridge, because these masks feel even more refreshing on the skin when chilled. 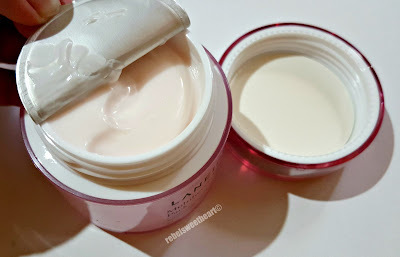 I have always paid attention to my skin health, however... I am now paying even more attention - after my cleanser I have been using for the past 15 years decided to become discontinued. I am now putting oils on my skin too, that promote elasticity and collagen production cause I mean, I am only getting older! LOL! 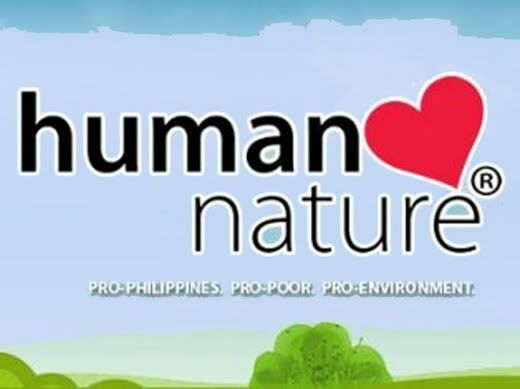 Thank you for the review. I've never heard of this brand, I'll keep an eye out for it. Seems like something I may like to use. I've never tried this mask before! I love yogurt and this sounds really appealing! I think it's awesome that it works well too! It sounds like an amazing product not to mention that it smells good too. I love anything that's berry scented and I'd love to give this one a try! It's always good to find skin products that work for you. These look good!